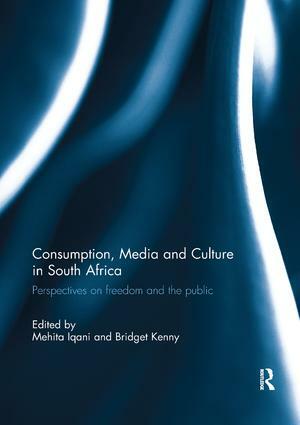 This book is the first of its kind to bring together a collection of critical scholarly work on consumer culture in South Africa, exploring the cultural, political, economic, and social aspects of consumption in post-Apartheid society. From sushi and Japanese diplomacy to Queen Sophie’s writhing gown, from middle class Sowetan golfers to an indebted working class citizenry, from wedding websites to wedding nostalgia, from the liberation of consuming to the low wage labour of selling, the chapters in this book demonstrate a variety of themes, showing that to start with consumption, rather than ending with it, allows for new insights into long-standing areas of social research. By mapping, exploring and theorizing the diverse aspects of consumption and consumer culture, the volume collectively works towards a fresh set of empirically rooted conceptual commentaries on the politics, economics, and social dynamics of modern South Africa. This effort, in turn, can serve as a foundation for thinking less parochially about neoliberal power and consumer culture. On a global scale, studying consumption in South Africa matters because in some ways the country serves as a microcosm for global patterns of income inequality, race-based economic oppression, and hopes for the material betterment of life. By exploring what consumption means on the ‘local’ scale in South Africa, the possibility arises to trace new global links and dissonances. This book was originally published as a special issue of Critical Arts. Mehita Iqani is a Senior Lecturer in Media Studies at the University of the Witwatersrand, Johannesburg, South Africa, and the author of Consumer Culture and the Media: Magazines in the Public Eye (2012), and Consumption and Media in the Global South: Empowerment Contested (2015). She serves on the editorial board of Consumption, Markets & Culture. Bridget Kenny is Associate Professor of Sociology at the University of the Witwatersrand, Johannesburg, South Africa, and has written extensively on retail work, precarious labour, gender, race and political publics. She is the President of the Labour Movements section of the International Sociological Association, has served as editor of the journals African Studies and South African Review of Sociology, and serves on the Editorial Boards of the Global Labour Journal and African Studies.